How To Keep Your Persian Rug Clean – A Professional Guide! Do you love the artistry and craftsmanship that goes into a handwoven rug? In museums and galleries all over Europe, there are precious tapestries and handwoven rugs that are displayed in prominent places in some of the most distinguished exhibitions. With dramatic lighting, these intricate artworks not only capture your attention, they can take your breath away! It is all well and good to appreciate tapestries when they are displayed in the Louvre or the British Museum, but what about when they are rolled out in a family living room? Are they any less spectacular? It all depends on how well you look after it. When you analyse an average area rug that has been handwoven in the Middle East or Asia, you cannot help but be deeply impressed with the delicate techniques used in the creation of these valuable carpets. Intricate patterns that weave a story. Precise knots that create dramatic and colourful contrasts. Weaving is no less an art form and expression than painting. The weaver crafts a scene and tells a story that can evoke intense emotion, using just wool or silk. These delicate threads that have come from living and breathing creatures, now form a living and breathing tapestry that not only adds depth and warmth to a room but also provides an alluring story for every visitor. Oriental and Persian rugs are also a valuable investment that can maintain and grow in value over the years. Many rug owners have had their rugs passed down to them from generation to generation. When properly cared for and regularly maintained, handwoven rugs can look great for years. Here are some tips and guidelines to ensure that your rug can stay clean and free of stains for years. The secret to keeping your rug looking amazing is starting a war with stains. Not just any war, but an intense rug maintenance WAR. Vacuuming is the most basic and essential rug maintenance task. Depending on the location of the rug and the foot traffic in your home, most professional rug maintenance experts recommend vacuuming your rug once or twice a week. Modern vacuum cleaners are very powerful, so care needs to be taken so that you do not destroy the fibres. The intense suction of modern vacuums can pull out threads from the back of the rug and cause rips. Using the handheld attachment allows you to have more control and will prevent the rug from “fuzzing”. When cleaning the fringes of the rugs be sure that you use the handheld attachment and vacuum away from the rug. This will prevent fraying from occurring. After reading the previous paragraph you may think ‘vacuuming my rug sounds dangerous, maybe I will just skip it”. But vacuuming is the single most important rug maintenance task! Dust, dirt and grit end up lodged between the fibres and shear at the delicate wool or silk. Gradually as you walk on the rug, these harsh grains act like sandpaper and wear away at the backing and dyes. Vacuuming your rug removes the layer of dust on top of the rug. You may be surprised to know there can be up to a kilogram of dirt that has built up in the base of an area rug. If you can capture the dust and dirt granules before they seep down into the backing of the rug, you can prevent further damage from occurring. The secret to keeping your precious rug in tip-top condition is to have it annually cleaned by a rug cleaning professional. They have extensive knowledge and training which can help extend the lifespan of your rug and help you to maintain it properly. Not only will a professional rug cleaner be able to identify any problems that are beginning, but they can provide immersion cleaning which removes harmful tannins and ensures your rug is at the right pH level. Vacuuming removes all of the physical contaminants that can destroy your rug, full immersion cleaning removes all of the chemical contaminants that can ruin the dyes and fibres. It can be difficult to find a knowledgeable rug cleaner that proactively cares for your rug, so when you find a good one; stick with them. If you have a spill or stain, the key is urgent action. The longer that strong dyes and colours come into contact with the pile of the rug, the worse the damage. Once a stain is set it becomes more difficult to be removed, even by professional rug cleaners. If your first reaction is to rub the stain, don’t! Never rub the spills as this forces the spill deeper into the rug. Use a white cloth to gently blot the stain is generally the best action. For more information on specific treatments for stain, please see this helpful rug stain guide. Keep an eye on your rug for any new stains, spots or strange marks. By regularly checking your rug for any new blemishes you can create strategies for reducing the exposure to stains. If you want your rug to last and look its very best, make sure you implement the WAR rug maintenance strategy. 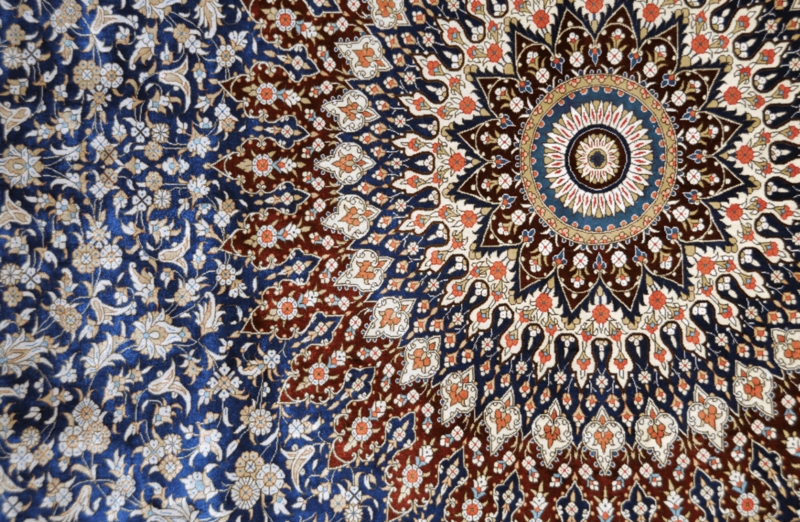 Fight the effects of ageing on your precious rug by proactively caring for it and reducing the signs of wear and tear. Who Is Oriental Rug Care? 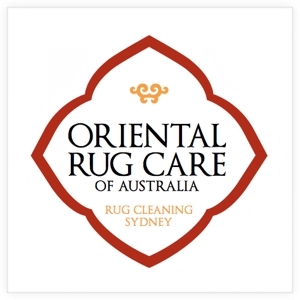 Oriental Rug Care is raising the standard of professional rug washing in Sydney. 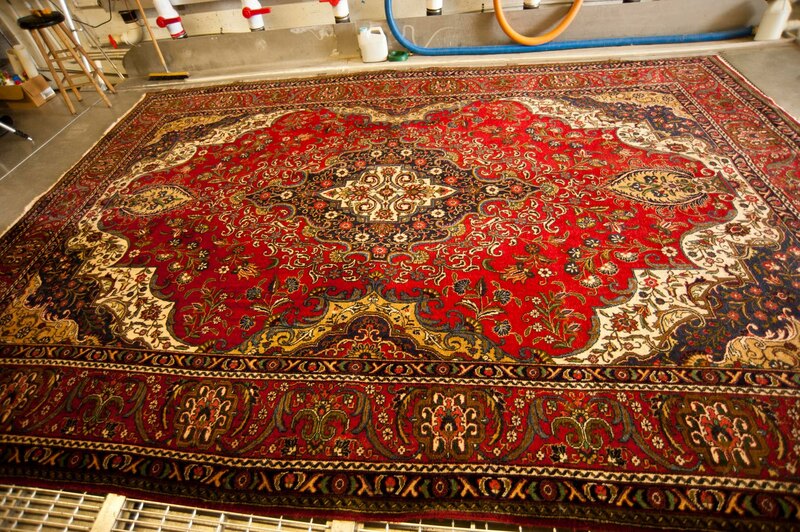 With a team of fully training and insured rug cleaning technicians and a fleet of the most advanced rug washing machinery, Oriental Rug Care is able to provide exceptional results for a wide range of rug types. 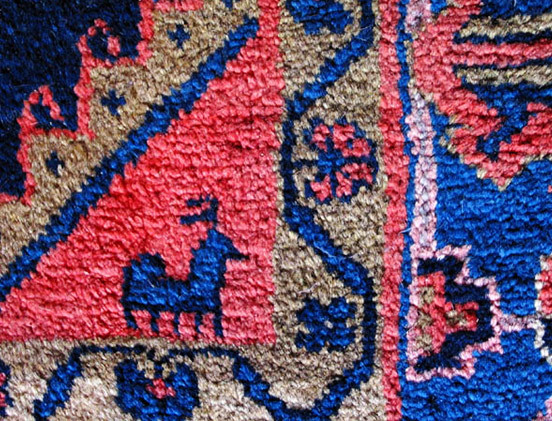 It doesn’t matter whether your rug is Turkish, Afghani, Berber, Chinese or Navajo, Oriental Rug Care provides tailored rug cleaning solutions you have to see to believe. Following the custom cleaning treatment, your rug will not only look and smell cleaner, but it will feel cleaner. Dirt, grit, sand and harsh tannins will be removed leaving you with a fresh and clean rug that will last longer and look fresher. Oriental Rug Care services all suburbs in the Eastern Suburbs, Northern Beaches, North Shore and Sutherland Shire. If you have been searching for a rug cleaning firm that can you can rely on to properly care for your vintage, valuable or precious rug, you are going to love the professionalism and workmanship of the experienced team at Oriental Rug Care. Offering free rug pick-up and drop-off, Oriental Rug Care takes the hassle out of rug cleaning, with a convenient and reliable service. 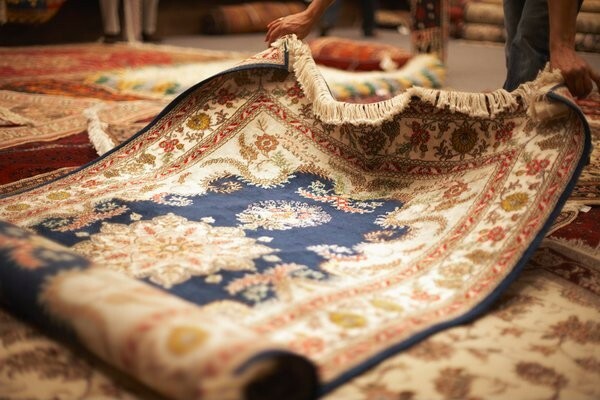 Whether your Persian rug is a family heirloom that has been passed down through your family or a new purchase from a recent trip, Oriental Rug Care is dedicated to offering the most professional rug maintenance service in Sydney. With a five-star rating on Facebook and a massive base of satisfied customers, Oriental Rug Care has established a reputation as an industry leader. Offering a complete range of cleaning, washing, maintenance and repair services, Oriental Rug Care is dedicated to keeping your rug in its very best condition. For a free rug cleaning appraisal from the industry experts, give the team at Oriental Rug Care a call today.